I am obviously a sucker for a great submarine story. I spend much of my free time researching stories about a rare breed of men who chose voluntarily to sail on ships designed by their creators to sail beneath the oceans surface. 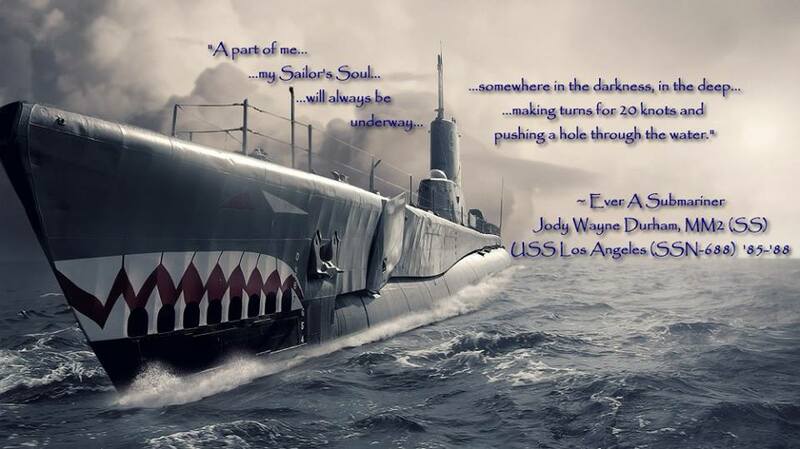 I was recently introduced to Jody Durham, a fellow Cold War sailor (and a brother A-ganger), who captured the essence of being a submariner with such clarity that I felt like I should share it. These are his words. But truly, these are the memories I wish I could have captured half as well. This story is posted with Jody’s permission. Obviously, please respect all copyright rules and give proper attribution. “I liked popping the hatch at the top of the sail at sunrise and being the first to savor the scent of fresh air for the first time in 8 weeks… watching dolphins race in the bow wave on the way back home to Pearl… the tear-drop hull of the boat beneath me silently slicing through the sea. I liked the sounds of the submarine service – sounds that we alone could hear, as we were the “Silent Service” where others were concerned – the ascending whine of the dive alarm sounding, and the haunting echos of “Cayooogah, cayooogah… Dive! Dive!” from the boats of yesteryear, the gruff voice of a Chief headed aft… “Down ladder; Make a Hole!” – the indescribable creaking sound of hull-steel compressing at depths that remain classified to this day. I was impressed with naval vessels – bracketed in the aperture of Periscope #2, the crosshairs gently rising and falling across their silhouette on the horizon, while obtaining range, bearing and angle off the bow. I enjoyed seeing places I’d only dreamed of, and some of which I’d heard of from my grandfather – who had seen them under very different circumstances and conditions… places like Pearl Harbor, Guam, Truk Island and Subic and Tokyo Bays. Our story is seldom told, but we are truly un-sung heroes. We contributed significantly to the winning of wars, the liberation of the oppressed and the preservation of both peace and freedom. Many of us served during the “Cold War” – collectively, we stood the watch, patrolled and performed acts of top secret espionage – and we did so CONTINUOUSLY for 24 hours a day, 7 days a week, 365 days a year – for over four and a half DECADES. We kept a very fragile peace intact – very likely preventing global nuclear annihilation in the process – by virtue of our strength, vigilance, endurance and integrity. Yes, we WON that war, and did so without ever once having to fire a shot in anger. Though we’ve been awarded many citations and medals, there are none that exist for that particular campaign as a whole. Our reward is the solemn pride that each of us possesses within our own hearts, the freedoms that we enjoy as a people, and the loving care of our friends and family—who stood the watch in their own way, supporting us in our absence when we were in harm’s way far, far from home. I am a member of several social media “groups,” – mostly submariner exclusive groups, but also of a couple that are comprised of US Navy sailors (active and retired) at large. It was in one of these groups (US Navy Machinist’s Mates – Facebook) that I came across the essay “I Was A Sailor Once…” mentioned above. Being by nature somewhat self-assured and assertive (ok, ok… cocky and aggressive), I initially began writing this essay as a paragraph by paragraph snarky, smart-aleck response to Mark Midgely’s essay. The reader can see some evidence of that in the opening paragraphs. But as I continued, I came to admire the other’s work as a genuine, heart-felt and reverent reminiscence of his personal Naval experience. And I too had experienced some of the same things. But I quickly realized that much of what he had expressed from his surface Navy experience was entirely foreign to me. I mean, the only salt-spray I experienced underway was from a sea-water pipe leak! So, while my essay still mirrors his to some extent, from the point of that realization it serves to give equal homage to the Naval experience as observed through the headphones of the Sonar-man, the greasy hands of the Auxiliary Machinist’s Mate, the chart-table of the Quartermaster and, as can only be seen through the eyes of the Officer of the Deck on the #2 Periscope. I would like to frame a copy for my home office wall. (For those who may question my many other Submarine decorated walls..
Craig, I spoke with the original author and he thinks your wall will look great with a printed copy. EM1(SS) here. Bloody well done, shipmate. I’d go to sea with you anytime. If I’m interpreting this correctly, “Ever a Submariner” has been shared over 1000 times to Facebook from this site alone. I’m truly honored. And amazed. Thanks for the overwhelming response. totally awesome and very very accurate. I am currently stationed on the USS Georgia SSGN 729. As a fellow MM2/SS (though the nuclear type), I appreciate your essay. Though the head aches and heart aches are only briefly mentioned, You capture a broad picture of what life as a submariner encompasses. Spending most of my time past the WTD, I 100% agree with the phrase, ‘making turns for twenty knots… pushing a hole through the water.’ Thank you for your service! Thanks Aaron, I will make sure Jody gets the message. I would be curious to learn what life is like on an SSGN. Thank you all, very much. I’m truly honored, and I’m happy that a few words strung together have meant so much to so many. It is but a small gift back to those who served before, with and after me… and those who still do. Men whom I am proud to call “brothers.” And to a way of life that transformed me forever, and helped shape the man I am. I commented once before. I earned my Fish in 1974 on the 669 and served again after shore duty on the 686. Never had the pleasure of a 688 class, but “boring holes in the ocean” certainly rings true. The smell at the weapons loading hatch before descending below decks never changes, and every boat sailor knows, remembers, and loves it still. There are funny things that make us brothers, and my wife doesn’t understand about the tight band that bounds us all, regardless of whether my shipmate was one from Seahorse SS-304, or Seahorse SSN-669 (she wasn’t with me then). We all felt when the Soviet Boat Kursk was lost a sense of lost brothers. When we went down into the sea at such a young age (I was 21) we could do anything, and we were right. Hey Jude… (I couldn’t resist)… LOL Seriously… heartfelt thanks, brother. You’re so right… no one but us can truly understand the sights, sounds and smells of the boats, and a thousand other “funny things” that bind us forever in a very unique brotherhood. I’m sure I’m not the only one of us that finds an even greater appreciation of that here all these many years later than what I understood at the time. I’m proud to be one of you. Great telling…great times. 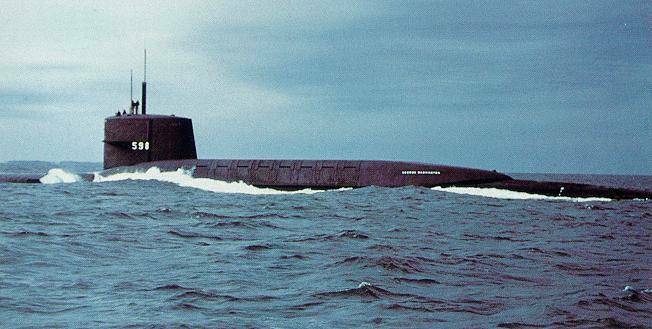 Phillip Valdes IC3/SS 86′-90′ SSBN 640 Benjamin Franklin. This story has continued to appeal to many of us who served on board a submarine. It is one of the most repeated stories of all the past year and has achieved over 10,000 hits. This is a 640 Plank Owner; 64 – 67, NUKE IC2 SS. EPCP was my watch station with the throttles for maneuvering watch. My last patrol leaving Guam began with me on the Bridge phones with the Captain. Glad to meet you Phillip! over ten thousand hits and three thousand shares on Facebook. Want to know something about submariners, this is it. Well said, Jody! Brought back fond memories and brought out a smile. It has been so long, all I remember are the good times. Being so young back then, I did not fully understand the boat’s mission. When the Berlin wall came down I understood the importance of what we did. I am grateful to all who served. Thanks for the memories! 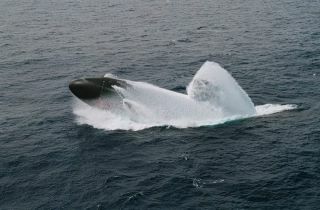 RO, ’72 – ’74 USS Bluefish SSN-675. My last boat was the 697 from 84-87.your story took me back in time, and I realized that the boat has never left me, I just left the boats. Thanks for sharing with all of us. Honored, Master Chief. Even though, by comparison, my enlistment was short… hopefully it is evident that the boat penetrated my heart and soul as deeply as it did the seas in which we sailed. Jody, I want to respect your intellectual property but am not exactly sure how to do it. I want to send this to my son who is an E-3 at Basic Training in the Army. I will give you credit and will reprint this in whole including your name. I think everyone who has ever served needs to know there are good times and bad times. By the time he was born, I was on the road to retirement so all he knows about my service are my sea stories. I want to encourage him to find the good things in what he is doing and believe it matters. I think your perspective will help. Jody: Re-reading your missive reminded me f something that happened in xxxx on a Northern Run Spec Op. Even though I was a nuke, I got to spend every other watch on the tracking party (that’s a long story). Extraordinary experience for a nuke. I remember one event that reminded me of what our mission truly was, cruising the seas with war-shots in every tube (and the obligatory signs hung, lest someone forget). Conn, Sonar, Outer doors opening. Conn, Sonar, High speed screws in the water. Conn, Sonar, Screws have shut down. Total silence in the Control Room, Captain says “Maintain the tracking party” and has a sip of coffee. Jude… fantastic story! I suppose then that you related especially well to that segment of my essay that spoke of that aspect of our service. I was but a lowly A-ganger 😉 but I found myself a valued member of the battlestations tracking party for the simple fact that the CO had seen my logs at some point and liked my legible hand-writing! Whooooshh… just like that I was learning things way above my paygrade (and security clearance I suppose)! What an awesome experience! It’s awesome that you got a taste of that too. Marvelous descriptions of The Brotherhood of the ‘Phin. I became a gold dolphin member of that sacred brotherhood in 1957 and served until 1977. I was a skimmer white hat for four years before that – shooting at the ChiComs on Korea. I was a smokeboater until I got shanghaied into The Kindly Old Gentleman’s fancy, seagoing Pleasure Palaces (well, hell, they had showers, for crissakes). Baptized at Vlad with Buzz Bessac (rest his soul), poked holes in the ocean off Petro on the oldest boat in SubPac (comm. 1942) but with two nasty weapons of just under 2MT each. Had to surface to launch the birds – a pure suicide run that no one talked about, but all knew. Then the nukes, built ’em after that when HGR needed a rep. Built (and then rode on one ‘adventure’) that hallowed boat, 683. What a helluva ride I had in this submarine brotherhood. To this day, I tell anyone who will listen (and even those who won’t) that there are only two kinds of ships – submarines and targets. Nothing compares, for me, to having ComSubPac, hisownself, sitting in his office and saying: “Want some coffee, skipper,?” What? You’re offering to pour me a cup and you have The Medal and four Navy Crosses on your shirt – and you’re pouring me a cup? Unless it was having a woman that I had met on a cross-country flight years later and taking her to supper i- and having her introduce me to her Dad and saying: “Daddy had a submarine command during the War – boat named USS Parche” Riiight – nice to meet you Admiral Ramage…Another Medal and three NCs. Holy crap – and we’re all members of the same Brotherhood. Every last damn one of us. Thank you, Jody, for a great reminiscence. It was in the highest tradition of that great storyteller, “Dex” Armstrong! Mac, Thanks for the note. I will make sure Jody gets the word that you stopped by. I am proud to be a part of a community that recognizes great efforts and takes the time to pass along a BZ when appropriate. Jody’s story is now the third highest rated post on theleansubmariner with over 14,000 views on the blog and untold thousands more on a number of other sub vets sites. Now that you have mentioned the Museum of the Pacific War and the Nimitz Museum in front of it – I should add that my wife is the great-grand niece of ‘Uncle Charlie’ Lockwood. When we go to the Museum (fairly often – we don’t live far away), I always ask her to stand next to a profile photo of Uncle Charlie – the genetic strain is very strong. I knew the Admiral after he retired and was doing research for a book – he prowled the waterfront in Pearl in the late 50s looking to chat-up any old sailors who had served in the boats during the War. (there were a fair number of folks wore fully-loaded war patrol pins – including my TM1). Little did I know what the distant future held for me. Mr. Maclaren… that’s amazing… rich heritage! I’d love to meet you someday and perhaps tour the museum together. I live in Conroe, approx. 4 hours away. I didn’t get to see as much as I would like to have seen… perhaps “absorb” would be a better word. I’m a 4th generation sailor, and was raised by my WWII veteran grand-father, an SK who did a lot of logistical work during the “island hopping” part of the campaign… Guam, Bougainville, Okinawa, etc. You may have noticed my reference to that in my essay. His widow, “Mama” to me, is 86 and blind and lives with me now. She has a mind as sharp as a tack… but she doesn’t have much knowledge of his activities prior to meeting her near war’s end in ’45. I want to return to the museum and explore it further, to get a better sense of where he was and when. Feel free to contact me at jdubyad@gmail.com and share contact info for future reference. Thanks again for your comments! Pleasure to meet you! This is the best string I think I have ever seen and would like permission to frame and post on my wall. Ray “Doc” Pelland HMCM(SS) USN Retired. From a Steward to a Machinist’s Mate, I went from table hopping in the wardroom to running the main engines in the Engine Room and ALPO in fast attacks. An adventure in my navy life that will be forever etched in my mind. The brotherhood and the glorious feelings that I am surrounded by comrades who will keep me safe and accept me for what I am. I am very fortunate to belong in this eternal brotherhood and would not trade the experiences for anything on earth. Thank you for sharing and if I can, I will do it all over again. I just came across your story. I only wish my husband was here to read it, he died in 2006. He was ETC (SS) James R. “Pat” Patterson. He served from 1961-1981 on the USS Bonefish (SS 582), USS Scamp (SSN 588) USS Cutlass, which became the SS Hai Shih and was sold to Taiwan (Pat was on the training crew and went to Taiwan for 6 months), the USS Sea Leopard (SS 483) and the USS Blueback (SS 581) which he retired from on 30 June 1981. If any of Pat’s former crewmates see this and would like to get in touch, I’d love to hear from you. Cathy, thanks for the feedback and please accept my condolences on the loss of your husband. I know it has been a few years but I am sure the loss is still felt. 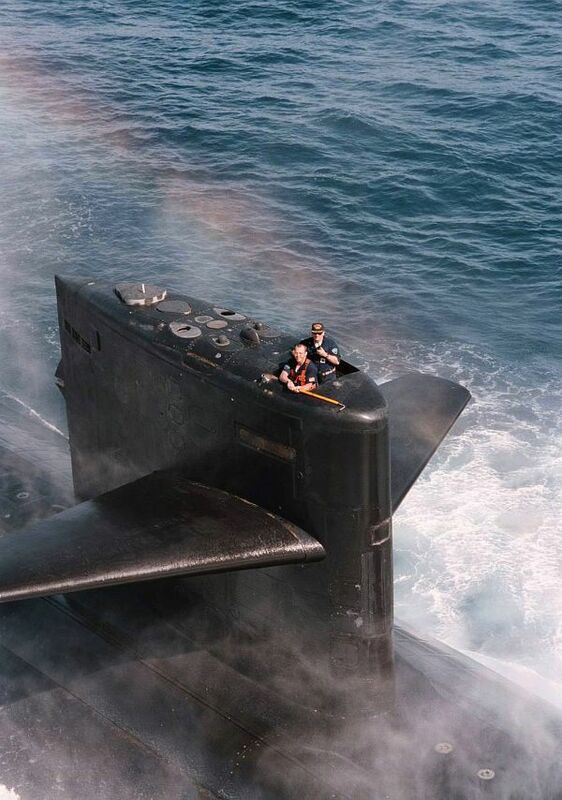 Submariners are a rare breed of men. There are a number of pages on Facebook for submariners including one for Diesel Boat Guys. It sounds like James would have fit in well with that crew. I’m sorry it’s taken so long to answer you, but life gets in the way of good intentions. It is so nice hearing from someone who served with Pat. Wow, 1971 seems by turns so long ago and like yesterday. That was such a crazy time. Were you still on Sea Leopard when she got transferred to Key West. We were on it until 1973. Thanks again for writing. I qualified on Bonefish SS-582 and aboard three years in the ‘1960s and then two fast attack nukes. I like your site. While on Bonefish we had a very salty chief machinist mate, from Maine. When he was the diving officer, he entertained us with great stories while driving the boat. When he retired, in Pearl Harbor, he threw a huge party at a Hawaiian woman’s house on the North Shore She had a ranch like-place. There were base admirals and their families at the party. He even had a beer truck with tappers. I’ve been trying to find some of the Bonefish guys that were at this party. I’d like to hear some of their stories. When woke up I was sleeping on a table with a puppy next to me.